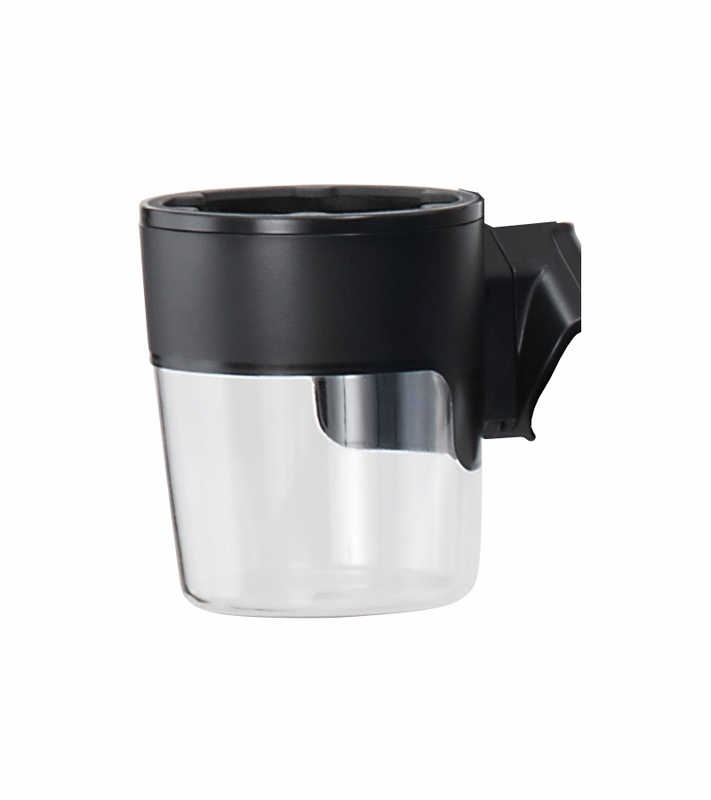 The MIXX� cup holder clicks easily onto the MIXX stroller handle. 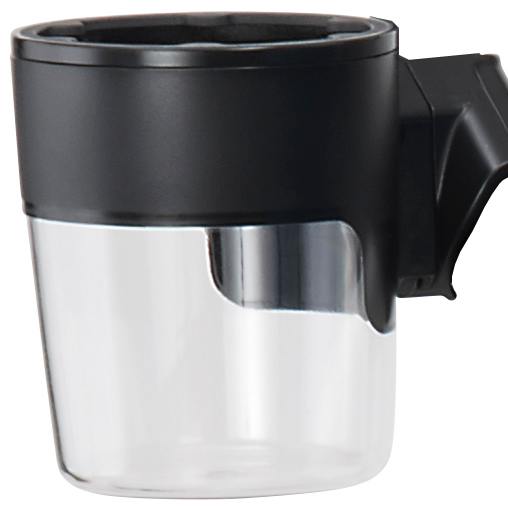 Perfect for parent�s on-the-go beverages. Best to use with a small water bottle. Bigger ones do not work. Would not use with cup of coffee or anything because it would splash. Overall good addition to stroller but I keep it off and do not use most of the time. I just put my water battle in the bottom basket of the stroller instead. Easy to snap on and of . Good for smaller cups . Love this simple yet functional cup holder. It's position on the stroller is convenient. Also great for holding toys or other small things. It doesn't fit a Tim Hortons or Starbucks cup perfectly, but does hold them in place. The grip is very good and I've never had a drink fall out. The drinks are more sturdy in here then in a stroller organizer. When I don't have a drink it's PERFECT for holding a phone or even keys. The phone can't fall out and sits upright. This item does what it's supposed to do- holds a drink, but it only fits water bottles and other narrow bottles. It sticks out from the right side of the stroller, which is really annoying. I normally pop it off in stores if I don't have a drink with me. It also is a good spot to put my keys and phone during a walk. Holds my water bottles, keys, phone, etc. tightly and is super easy to attach and remove. Much-needed addition to the Mixx! Like it. Easy to put on stroller and take it out. Most cups fits in. Not just cups. Phone and key also. Used only for nuna strollers doesn't work for other brands. Price could be lower. It does not hold most of my drink containers.It worked will for holding my keys, phone and other small things. I am so glad I sprung for this! It fits nicely with the Nuna Mixx and I can't imagine not having it. 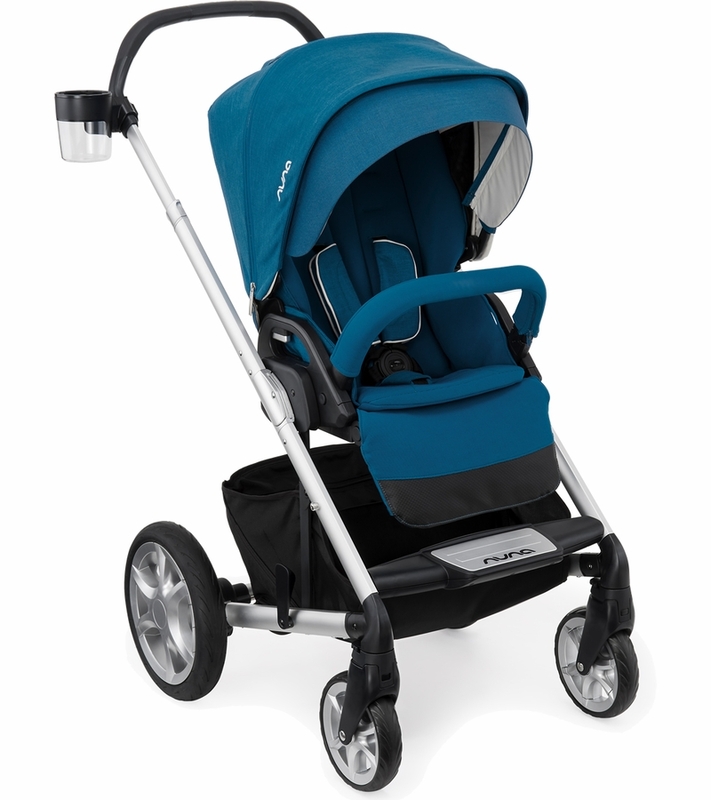 It looks clean and is securely clicked onto the stroller; it is also easy to remove for cleaning, if needed. This is a great accessory to our Mixx. Holds a lot of beverages and can stay on the stroller when folded. ProsStays on when stroller folded. so excited for this addition to our nuna mixx stroller. so far has fit all beverages we've tried. 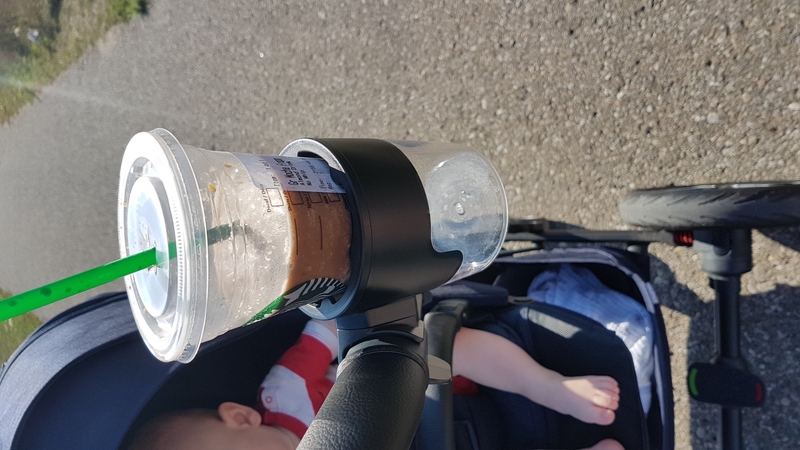 Will this cup holder work with Nuna Mixx 2 stroller? Does it fit a 30oz yeti tumbler? Does this cupholder work with the Nuna Ivvi Stroller? Will two cup holders fit onto the stroller? Will this work on the Tavo Stroller? I have spoken with Nuna and they have advised that this cupholder will only work on the Mixx stroller. They do not make one for the Tavo stroller.